A romantic triangle drama set in the rough and tumble world of electric power line crews, Manpower boasts a terrific cast and some gritty locations and cinematography. But the human conflicts at the centre of the film are often contrived and less than convincing. In California, Hank McHenry (Edward G. Robinson) and Johnny Marshall (George Raft) are best friends on a power line installation and maintenance crew that includes fellow workers Jumbo (Alan Hale) and Omaha (Frank McHugh). Hank likes women but is hopelessly incompetent when it comes to romantically wooing them. When he suffers a serious leg injury and is no longer able to climb the towers, Hank is promoted to foreman. Pop Duval is a popular member of Hank's crew, but dies in a accident involving iced power lines. Hank is immediately attracted to Pop's troubled daughter Faye (Marlene Dietrich). She has served time in prison for theft, and upon her release has defaulted to life as a trashy hostess at a sleazy clip joint. Johnny doesn't trust Faye's intentions, but Hank is undeterred and ignoring Johnny's advice, proposes marriage. Faye never professed to love Hank but anyway tries to make a go of their marriage, but an injury suffered by Johnny signals the start of trouble ahead. A rather uneven mix of drama, comedy, romance and conflict, Manpower is good but leaves the impression that it could have been better. Certainly the trio of Robinson, Raft and Dietrich is potent, and the performers generate and maintain an admirable level of intensity and engagement. Director Raoul Walsh is less successful when it comes to the comic relief, with the continuous stream of humour supplied by the numerous sidekick characters sometimes threatening to take over the film. 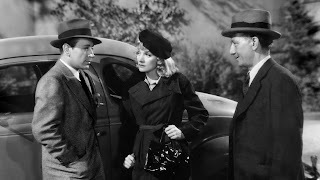 Primarily this is a dramatic love triangle set in a unique context, and the background of the men as members of a power line maintenance crew provides an undercurrent of danger that is well-exploited by Walsh. Setting aside atrocious worker safety practices, there are some quite effective scenes portraying the men getting on with their work on the high towers in inclement weather conditions including severe rain storms, thick fog (near an airport with planes landing nearby), and grappling with iced wires. Also good is the smoky, sordid atmosphere at the Midnight Club, the clip joint where Faye washes up after her stint behind bars. The club is filled with desperate women hoping for one last break in life but instead being taken advantage of by both the club's disreputable management and the scuzzy customers. If working on the power lines is dangerous for Hank, Johnny and their men, working at the Midnight Club is just as precarious for Faye and her friends. The tension that emerges in the relationships between Hank, Faye and Johnny is adequate without properly resonating. Only Robinson as Hank has enough character material to play with, and his naive, generally pleasant but easily combustible personality rings true. 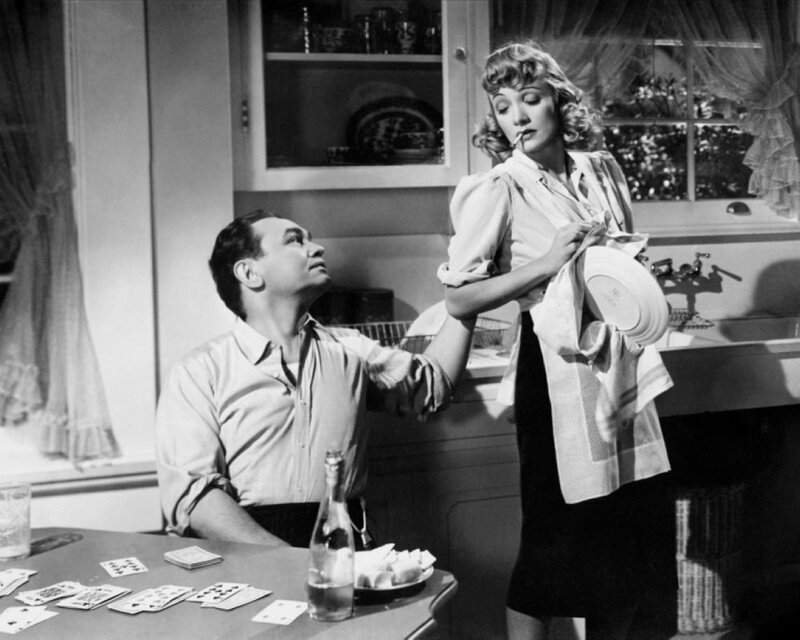 George Raft as Johnny has less of an arc and hides behind a cogent if ultimately predictable wise-cracking stoic persona. Faye is almost too easy for Dietrich, as she gets the shortest of scenes to reveal some background but otherwise plays the jaundiced victim of fate with barely any effort. The cast also includes Eve Arden and Ward Bond in small roles. The film is famous in Hollywood lore for a couple of incidental reasons. Apparently Raft and Robinson came to blows on the set. Some sources attribute the tension between the men to arguments about Dietrich, while others mention Raft resenting Robinson's late addition to the cast, which diminished Raft's profile. Manpower is also known as the film Raft elected to appear in rather than The Maltese Falcon, which proved to be a classic and Humphrey Bogart's biggest career break. Regardless of the background stories, Manpower is a decent effort. It never fully lights up, but does occasionally sparkle.